Hemp Bombs has proprietary rights to its CBD formula, meticulously crafting products for the consumer market. 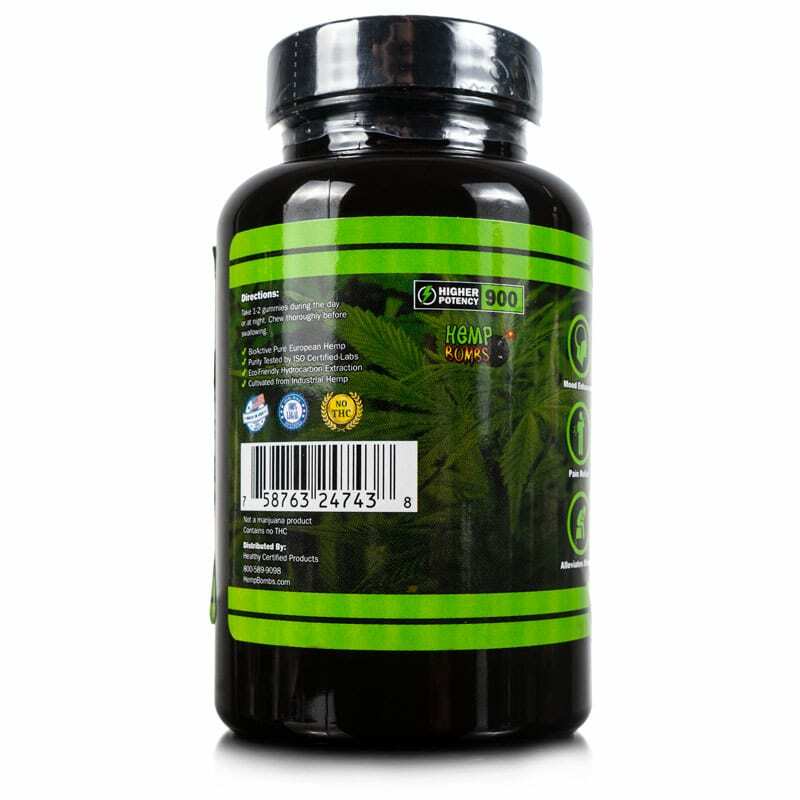 Experience the multitude of benefits of Hemp Bombs 60-count CBD Gummies today. Because CBD affects everyone differently, we recommend taking one or two gummies and seeing how you feel. We advise you to try CBD for the first time before bed – it can sometimes make people feel a bit sleepy due to its relaxing effects. 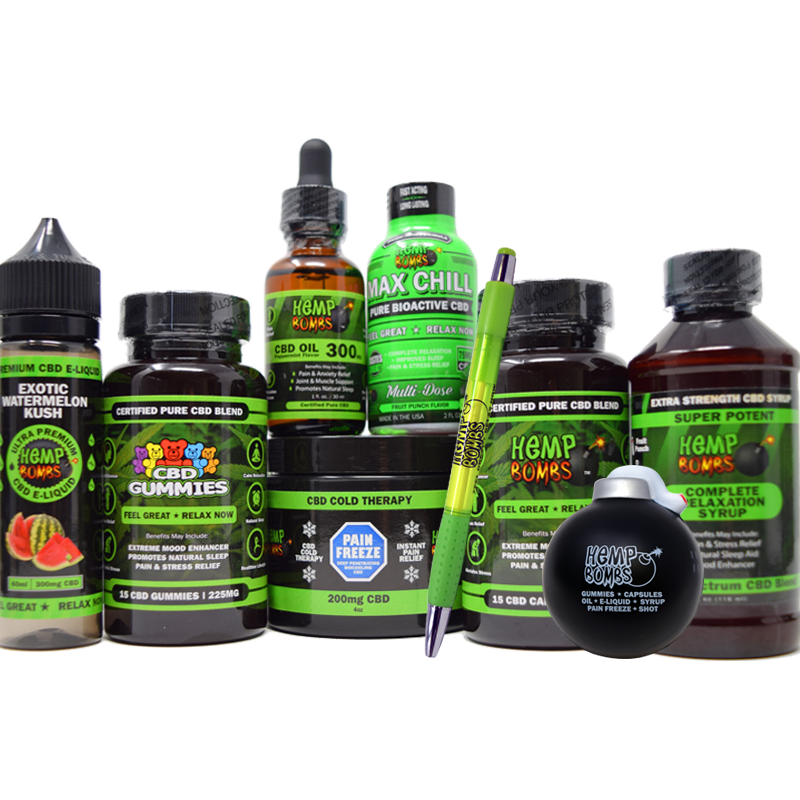 Once you know how 60-count CBD Gummies make you feel, you may gradually increase your daily dose as needed. 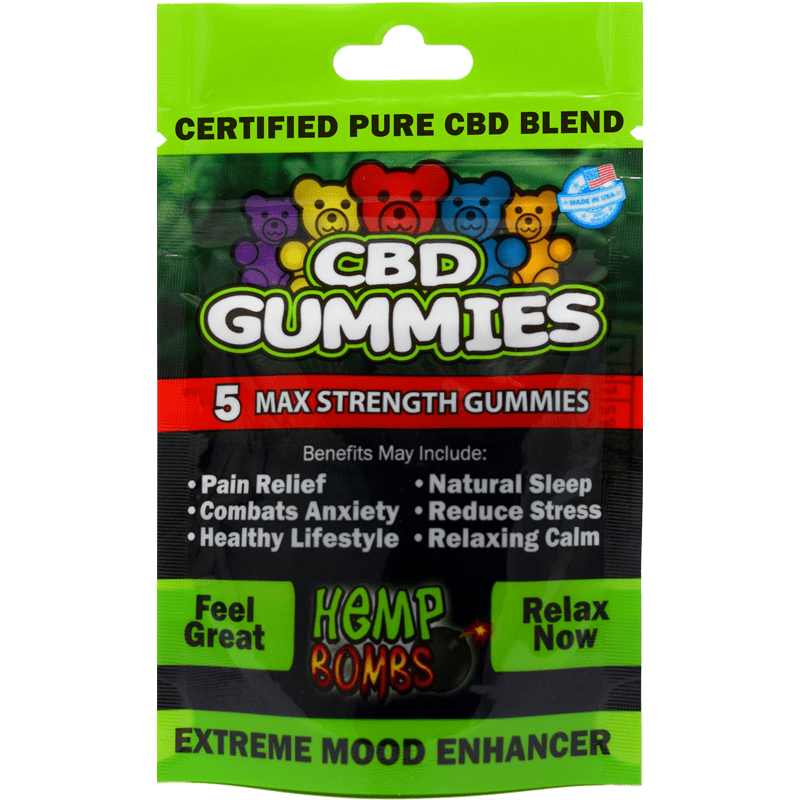 Hemp Bombs 60-Count CBD Gummies are known to have a relaxing effect on both mind and body, and they’re a fun way to get a potent dosage of CBD. As we mentioned, CBD affects everyone differently, so you may feel sleepy after chewing a gummy – but our customers find them very effective. About 5 years ago I started suffering from Migraines and for what ever reason I started getting really bad anxiety about a year ago. I started trying different brands of CBD. Capsules, oils, gummies, etc. and what I found was ok…. Then a friend referred me to Hemp bombs and this is my all time favorite. My migraines have more than cut in half. Don’t get me wrong I still get them on occasion, but not like before. My anxiety level has come down and I am able to sleep again. I love this product and its great to feel like a human being again. Thank you Hemp Bombs! The CBD gummies are the real deal. If you are looking to get “high” LOOK SOMEWHERE ELSE. Suffering from anxiety, depression, low back pain, and migraines for the last 15 years, I went looking for an alternative to the many standard big pharmacy drugs I was prescribed. Topomax, Citalopram, Flexril, Vicodin, Relpax, Clonazapam, Ativan, Buspar, and the worst Oxycotin! I was like a walking pharmacy all by myself. I talked to my doctor about alternatives and get this, he recommended I try this product. 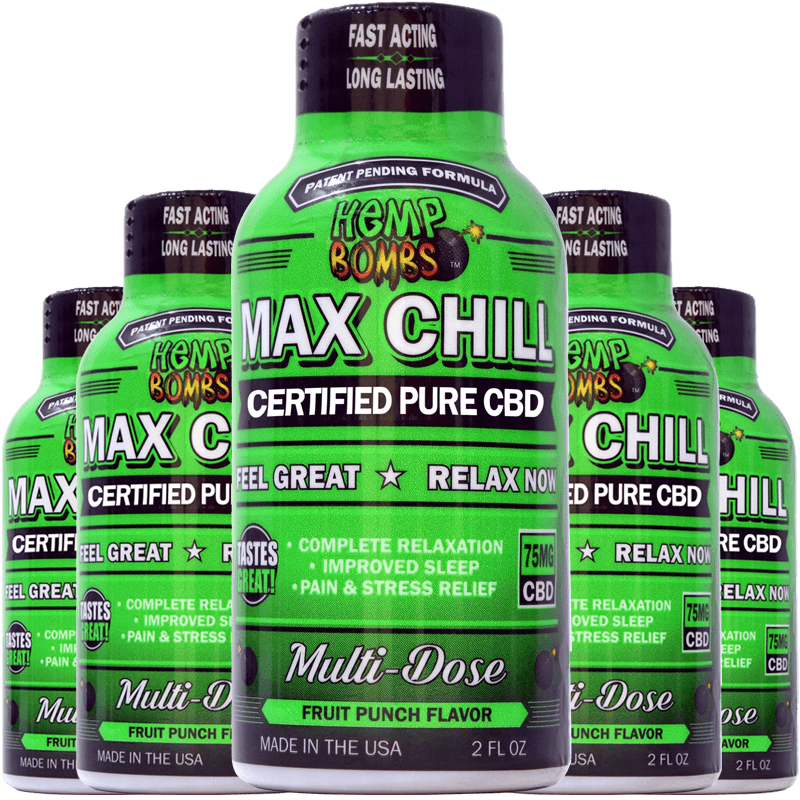 This specific product because it contains pure CBD. Not knowing what that was, he printed a picture of the bottle and off I went to a local merchant. I found a local store and bought a bottle of the certified pure CBD blend gummies; 70 count; 15MG per serving. I read the directions, chewed 2 of them and headed to bed. Normally before bedtime, I would take a Topomax, Aleve, Ativan and wash it down with a 5/325 tab of Vicodin, just to sleep through the night because of my chronic lower back pain, crazy anxiety, and migraines. After one bottle (about a month) I no longer take my the Aleve, Vicodin, or Ativan before going to bed. I still take the topomax as a migraine preventative. But I have not had a migraine since starting this product. I can’t believe it! Now, I often sleep through the night and more often than not wake up feeling refreshed and ready for the day. I used to wake up a bit groggy from the narcotic pain meds and such. Thank you so much for this awesome product! If you are on the fence. Buy a smaller package and give it a try. These are my first time using or trying CBD Gummy and at this strength their amazing, I just starting taking them I found that they do make me very sleepy and I get the best nights sleep ever I really want to start to take them daily because i sure could use the sleep that my stress n pain doesn’t allow. Most definitely feeling a difference in my mood and attitude with these. And my pain is down as well. I take them at the same time every day. Just a quick review… I have Fibromyalgia, back issues and head aches. The gummies helped with the Fibromyalgia and the other back issues. I will be reordering. Thank you for this product. The Gummies didn’t work for me and I had to return the product. The customer service I received over the phone was outstanding. They didn’t give me any hassle at all or try to talk me out of it. Pleasure to deal with. Finished my bottle of 15. Just ordered the bottle of 60. They work good. What a great company! Very knowledgeable about cbd and what products work for what symptoms. 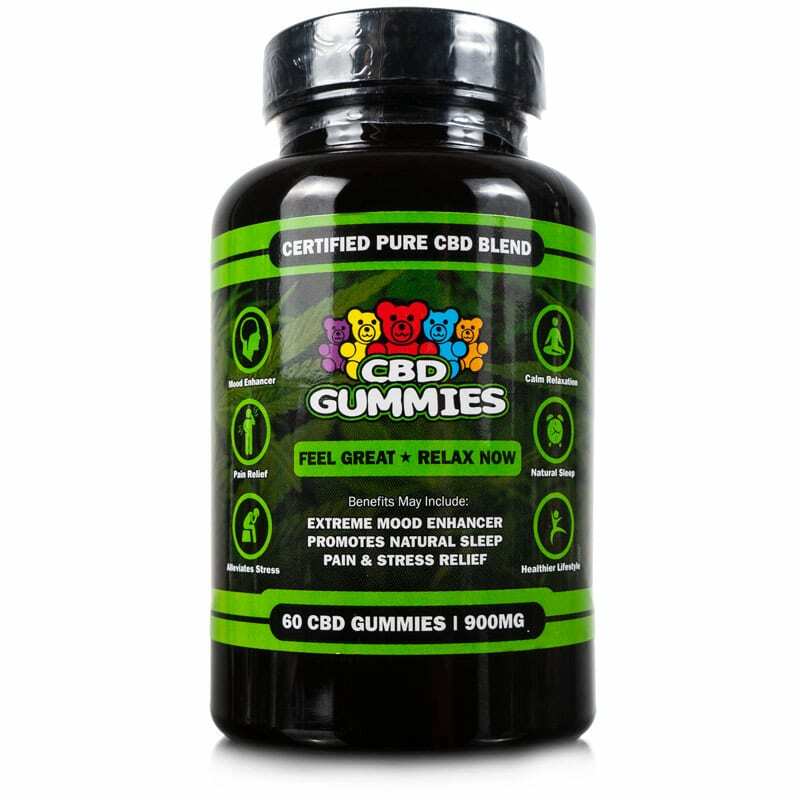 We’ve been using the CBD Gummies for the last couple of weeks for anxiety and they do feel like they work. Wish they didn’t have food coloring though. These are the BEST! And I just got them at a great price with an email discount code. Win! My son is HFA, ADHD. We went from medications that caused horrible afternoon outbursts. 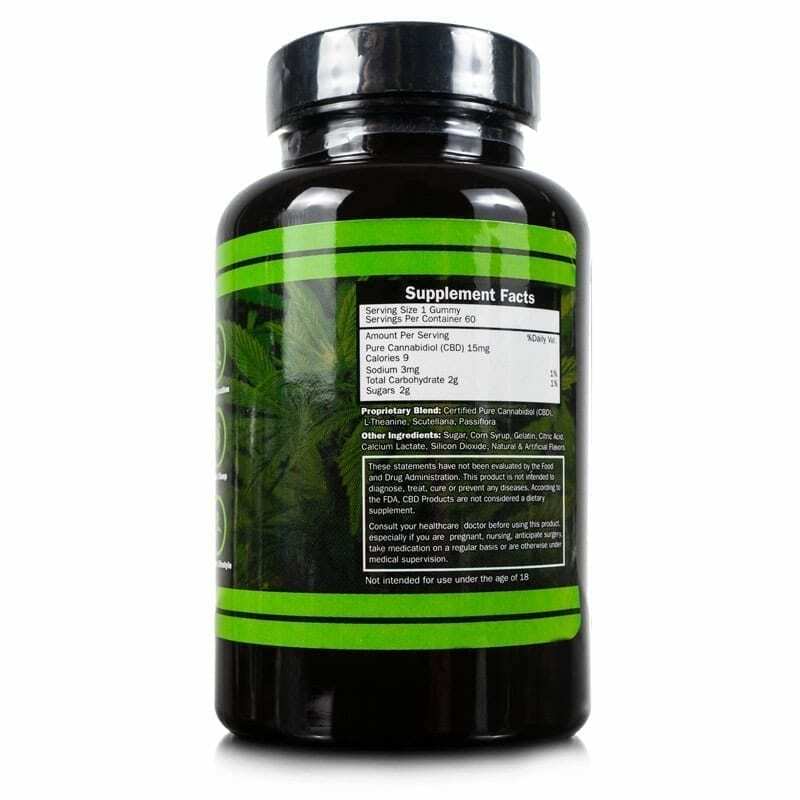 To removal of all prescription meds and only using just supplements and Hempbomb Gummies. I have found the dyes really don’t affect him with this. Maybe the L-Thanine counter acts any of the hyper ness caused by dyes. The gummies are so convenient to have around and help me with my anxiety. I haven’t tried the higher potency or the ones with melatonin, I can only speak for the regular gummies. I give 5 stars on these gummies. I have RA “arthritis” and Fiber myalgia . Pain level has been an 9 to 10. Since I started taking the gummies and I also use the e- liquid my pain level has dropped down to a 3.. GREAT NEWS for ME. I have had long term severe insomnia, even on prescribed sleeping pills the best I could hope for was 1 hour of sleep and 1 hour awake and cycling like that all night long…I bought a 5 pack of these gummies not expecting much…I took one gummy, turned on the TV w/ the sleep timer set to turn the set off in 2 hours, I never heard the TV turn off and all I know is some time in that 2 hours after I took the gummy I fell asleep and did not wake up until the next morning…No bad dreams, no waking up every hour, no grogginess in the morning, no dry mouth…just a normal full night of sleep like a normal human being…I am so happy and so glad I found your company and your wonderful product…I just bought the large bottle because I never want to be without these every again. These work good for me for taking away minor pain. Not bad tasting either. Thinking about trying these but worried about failing a drug test. Not looking to feel high, just want to be pain free with no anxiety. I ordered these because I heard they can work good for anxiety. Waiting patiently for my package to arrive. Hemp Bombs customer for life. I do suffer from severe/complex migraines (Stroke like symptoms). My neurologist and I discussed possible treatments other than anticonvulsants (which are expensive and give me the worst insomnia on the planet) and Opioids (Yeah, nope). After being exposed to marijuana at a Fleetwood Mac concert, I had immediately reported back to my neurologist that within 1/2 hour of exposure, a debilitating headache that would have hospitalized me was gone. Even though she was willing to write me a prescription, California was a non-420 State and I feared discrimination due to an illness. I had discovered CBD and noticed it had the same healing effect without the high, and furthermore I ACED my drug test!!! So much so, I’m wanting to buy more products. When my oil was hung up by USPS, Customer Service stepped up and shipped out my order straight away. With high quality products and Customer Care, why go elsewhere? i’d be lost without my cbd gummy bears! my anxiety is so much better. i was shocked by how much these work. These are wonderful for my anxiety. My friend had skin cancer and was suppose to start treatment for it. Her nose looked terrible. A friend of hers sent her CBD gummies to try. She took them for three weeks before she went for her treatment. The day she went to her Doctor to start treatment he was amazed the cancer was gone. Her nose was back to normal. She swears by CBD. My friend had skin cancer and was going to start treatment for it. A friend of hers sent her CBD gummies to try. She took them for 3 weeks before her Doctors appointment. Her nose looked really bad but in the 3 weeks it look normal. She went for her appointment and her Doctor was amazed he couldn’t believe that she was cured and didn’t need treatment. I was amazed when I saw the before and after pictures of her nose. She swears by it. These are good but a little expensive for me. Received a complimentary sample 5 pack with my e-liquid, and holy wow…. instant grounding. I am a gotta-feel-it-to-believe-it person, and I did. I suffer from high anxiety and insomnia and I slept like a baby. I got a bottle for my husband and myself as we are both in our 70s and have osteoarthritis. I have heard good things about cbd for this. Seriously fast service. Got my Gummies in 3 days from ordering. 5 stars. Thanks for the 27% off code! That made it affordable enough for me to order 2 bottles! Now I’m good for a while! I’ve tried tons of cbd gummies, these are better than almost all of them. I’m probably your best customer for these. I eat them like candy. Awesome product! Just ordered another bottle. I’ve been living with anxiety and depression for 10+ years and sometimes it wears on you. This product helps me calm down, breathe, and refocus while also helping me relax the tension in my body. As a long time student, plus an old injury, my wrists are in pain daily (around a 5-6 all day). With these, the pain is reduced incredibly and I can sleep soundly. That’s with only one gummy. Use what works for you, call customer service. This is a product that I have been recommending to all of my graduate student peers because it truly helps. My only suggestion is the possibility of selecting flavors. I’m not sure how that would effect profit margins though due to label printing, bottles, ect. Just a thought. Thank you HempBombs for helping me and my family reduce our pain and live fuller lives! First let me say Kathy is AMAZING!! (customer service) she really help me decide what was best for me & my arthritic knee she advised the gummies & how to take them.. This was one of the best decisions I ever made! For a fun way to fight pain for hours I recommend 2 gummies at night for a easy morning.. THANKS MS. KATHY YOUR THE BESTEST! ? Used to take the syrup every night, but switched over to the Gummies. They taste much better. I will keep buying these as they really work for me. Question is, how much better would the high potency gummies work? Great to relieve anxiety and aide in sleep. No nasty after effects like the pills the Dr. prescribes. Tried the capsules and now I am trying out your gummies. They’re pretty good. Not sure they’re as good as the capsules tho. CDB Gummies are always with me in my purse. I eat them on the go. Try these gummies if you want to take the edge off your anxiety or relax. They work and are easy on the mouth. My husband got these for me after we finished the 5 pack. Work great and delicious. Been buying these for months now. Just placed another order. I will keep on buying them. I eat these like their candy. love them. Had doubts about these but they do in fact work. Nice looking website as well. Glad I found you guys. I LOVE you guys logo and packaging – very cool. Best CBD company on the Internet. The 60 count bottle is great value and way cheaper than crappy sleeping pills. Not to mention they taste like candy. Dont really like sour things. But they work. These Gummies are the best i have reduced back pain almost no anxiety and feel so happy and great. I use these gummies (my fav) the caps occasionally and the E-LIQUID (exotic watermelon kush YUMMM) Thanks Hemp Bombs Best CBD products on the market i can trust customer and referrer for life. Excellent product! Easy Peasy ordering. Received on time, exactly what I expected. Will definitely order again. Best sleep I’ve had in years!! Wish there were more flavors to choose from. They are always coming out with new stuff though. So I guess I’ll wait! These didn’t do much for me. They’re kind of sour too. I am now completely off of ALL medications prescribed to me by my doctors because of these gummies. Glad I stumbled across the 5 pack at the Stop&Shop during a recent road trip it made a long car ride with my wifes mom less miserable. Had really high expectations after reading reviews, was disappointing to not achieve the relief others talked about. These taste uh-maze-ing though; I’ll finish the bottle and see if I get long term benefits. I sell them in my Herb Shoppe. I personally started taking the gummies for sleep. The gummies work great, but I believe the capsules have a longer lasting effect. The huge plus is I am virtually pain free after years of chronic pain and inflammation! Excellent product. Can you say addicting? Your gummies are my favorite cbd thing to use for relaxation. These really help to reduce my nervousness at work. I always have them at my desk. Works nicely for me. Glad I found your Gummy Bears. I really like the way they make my back feel. I’m off pain pills and on to CBD gummies. Finally moved up to the bigger bottle for me and my partner. 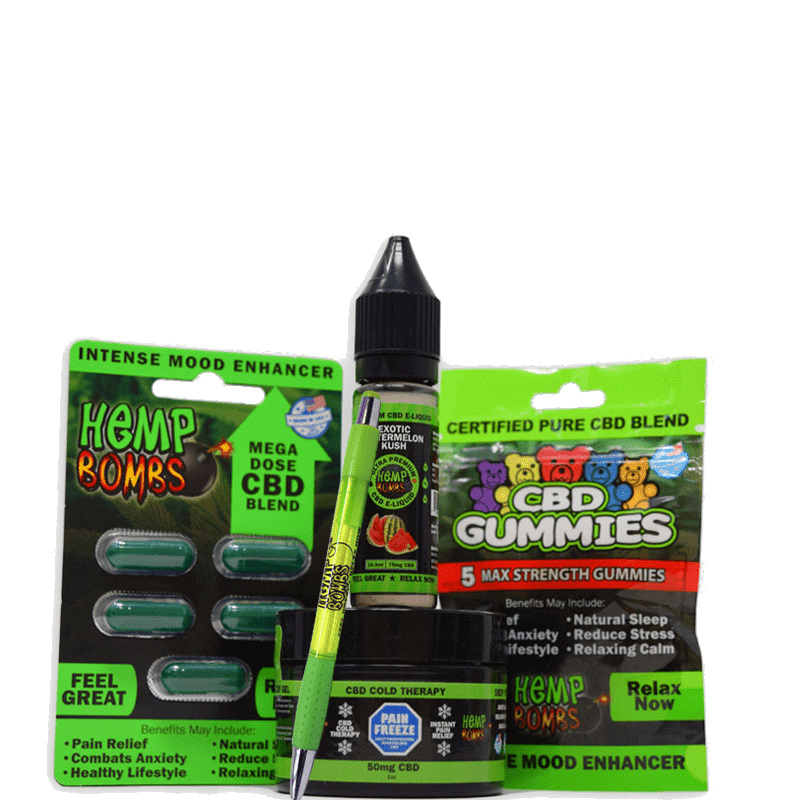 We LOVE the cbd hemp gummies! Can you tell me if eating these will fail a drug test? They’re great BTW. Better than having a glass of wine and they get the job done. So relaxing. CDB Gummies were a hit at our Trivia night last week. Everyone that tried them like them. Expect some new customers. Picked up a package of these on a whim in a convenient mart in Pennsylvania while truck driving. Wanted some more so I looked you guys up on the interweb. Bought the 60-count and I keep it in the truck. These gummies are fantastic. Even just eating one helps my body relax and I get in a better mood. I take two and I’m ready to sleep. Happy here. I didn’t get a lot out of the gummies. But your capsules worked for me. Finally found a cbd candy for my sweet tooth that I can eat and not have to worry about failing the random drug tests at work. I always have a bottle of your gummies at my desk. Thank you. I chew up (2) gummies before bed to help me calm down, unwind and fall asleep. This bottle lasts me a full month. Never slept better and deeper. Your hemp gummies are easy to eat and the 60 count is a great deal. Huge fan of your gummies. I eat em up like candy. Just thought I’d let you know how well the gummies are working for me. I had spinal surgery a few months ago and I hate taking drugs so I researched other pain relief alternatives. Searched and it led me to your cdb gummy product. Started with the gummies 5 pack and found they gave me decent pain relief without the need for the heavy meds that are so bad for you. Because I’m in less pain, I can do more in PT recovering from the surgery. My health keeps improving and I’m a happy girl. Love these little hemp gummie bears! Awesome price for 60 gummies and great service. Started with the 5 pack of your gummies a week ago. Found your website and ordered the 60 piece bottle to save money. Happy customer. I was really impressed how fast they arrived. I chewed up 4 pretty quick then read the label. Oops. Chew 1-2 gummies at a time. These are great! Cool logo too. These are my new favorite CBD snacks. I keep them in my gym bag and take them after workouts and long runs. Helps me relax and mellow out.